Quick overview David Hockney's career has spanned and epitomised the art movements of the past five decades. Volume 1 covered his early life. This volume finds him flitting between Notting Hill and California, where he took inspiration for the swimming pool series of paintings. It also illuminates the glamorous circles he moved in, and his relationships. In this fascinating and entertaining second volume, Christopher Sykes explores the life and work of Britain's most popular living artist. David Hockney's career has spanned and epitomised the art movements of the past five decades. Volume 1 covered his early life: his precocious achievement at Bradford Art College and the Swinging 60s in London, where he befriended many of the iconic cultural figures of the generation. Picking up Hockney's story in 1975, this volume finds him flitting between Notting Hill and California, where he took inspiration for the swimming pool series of paintings; creating the acclaimed set designs for operas around the world; and embracing emerging technologies - the camera and fax machine in the 1970s and 80s, and most recently the iPad. Hockney's boundless energy extends to his personal life too, and this volume illuminates the glamorous circles he moved in, as well as his sometimes turbulent relationships. 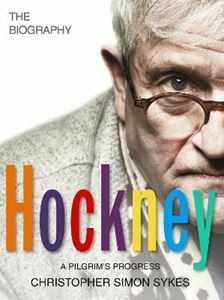 With unprecedented access to Hockney's paintings, notebooks, diaries and the man himself, this second volume continues the lively and revelatory account of an acclaimed artist and an extraordinary man.